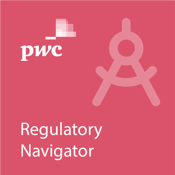 PwC's Regulatory Navigator provides everything you need to know about how the changing regulatory environment is impacting your firm and the rest of the financial services industry. With a primarily US focus, this app provides access to PwC's insights on the latest regulatory changes and links to key original source information, such as proposed and final rules. oHome Page - Includes the most recent insights from PwC which can be tailored to your specific interests, plus a scrolling regulatory update with the latest information from regulatory agencies. oTopics - Find the information on topics that interests you the most, with pages about specific topics and industries. oSaved Items - Save your favorite publications to read offline in your own offline library. 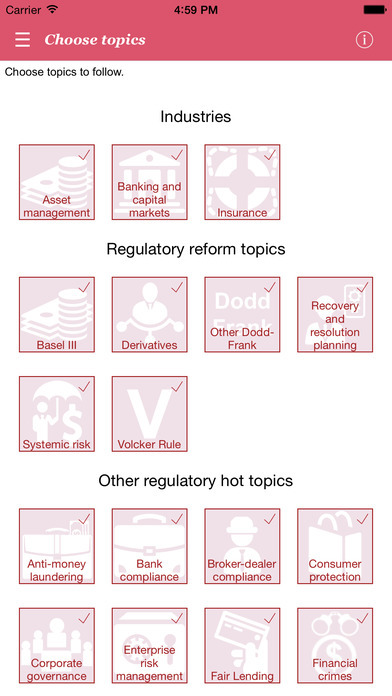 oPublications - Search or sort through a complete list of all PwC financial services regulatory publications available on the app. oTimeline - Scroll and sort the timeline of the key regulatory dates and deadlines (e.g., comment period deadlines and final rule effective dates). This is one of the best features on the app.